MYB Casino is one of the newer gaming sites that keeps on providing its new technologies to a worldwide audience of potential customers. If you are an American resident – then this is one of the few places where the US players can actually play, and enjoy all of their winnings. That is because the MYBCasino accepts everyone who can enjoy its various gambling services, and afford to spend some time with the fantastic games. Thanks to the BetSoft studios, there are plenty of games; new, old, and three-dimensional, just what anybody would require to have a really good time (18+). The platform and its software, are optimized to run on any device; either mobile, tablet, or desktop based – which sure can affect the outcome in many ways. There are also other methods that one can use to enjoy those amazing concepts, and return each time a new game appears, or during some of the exciting bonus campaigns. The MYB Casino website is going to let you play as many games as you like, and there are lots and lots of those to begin with. Starting with the live casino entertainment, all the way to popular categories like table games, or the trademark 3D slots, the casino has even classic slots, video poker, and multiple other games in its recent collection. Tiger’s Claw, Pinocchio, Fruit Zen, Gladiator, Genie’s Fortune, Sugar Pop 2 Double Dipped, The Golden Owl of Athena, Dragon Kings, Ogre Empire, The Glam Life, House of Fun, Fire & Steel, Giovanni’s Gems, Tycoons, and Magic Shoppe – are but a few examples of what the MYBCasino is actually capable of. 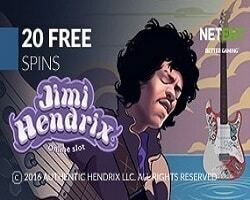 Connect with this online casino through its social channels on Facebook, Instagram, and Google Plus, or remain a loyal client of its site and get instant updates whenever visiting the online lobby. Deposits and withdrawals can be processed by either credit or debit cards, like MasterCard and Visa.